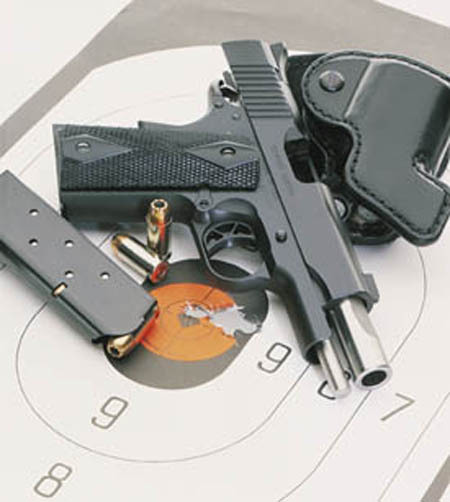 This is the highly regarded Kimber Compact 1911-style pistol. This version of the Kimber Compact 1911 is a shortened version of the pistol designed specifically for concealed carry and personal protection. This Kimber Compact has a parkerized finish, tritium night sights, a stainless steel barrel and is chambered in .45 ACP. This is one of the finest 1911 pistols made for concealed carry without spending thousands of dollars.